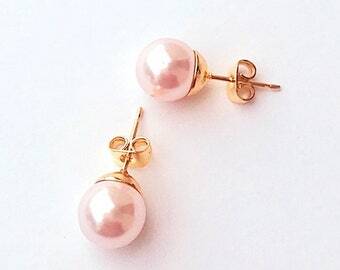 Stunning AAA authentic Swarovski pearl earrings with a beautiful luster and perfectly round. 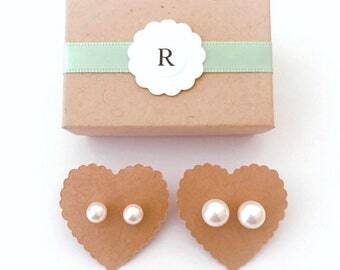 Choose 8mm pearls for ladies or the 6mm pearls for girls (flower girls) or if you want a delicate pearl for a lady. 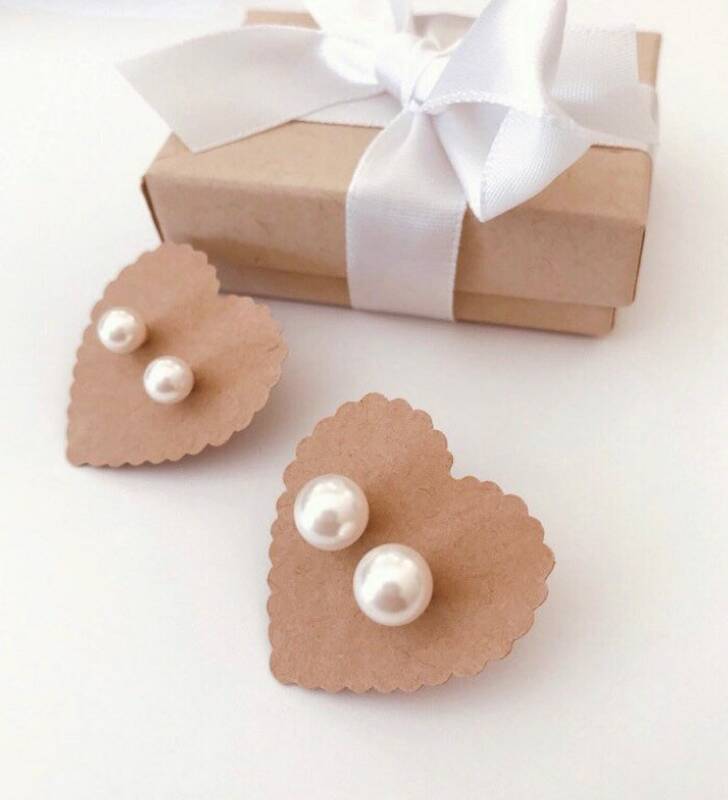 The pearls are carefully hand placed by myself on gold filled posts and come on a heart shaped card, placed in a jewelry box as shown, with a satin ribbon bow or your choice.